How would I read it when a score is at a certain amount. Such at "when score reaches "1" apply force "x"
@colymoly Do you know much about "conditionals"? You can output the score to an IF. then the IF behaviour will check if it reaches your desired score. 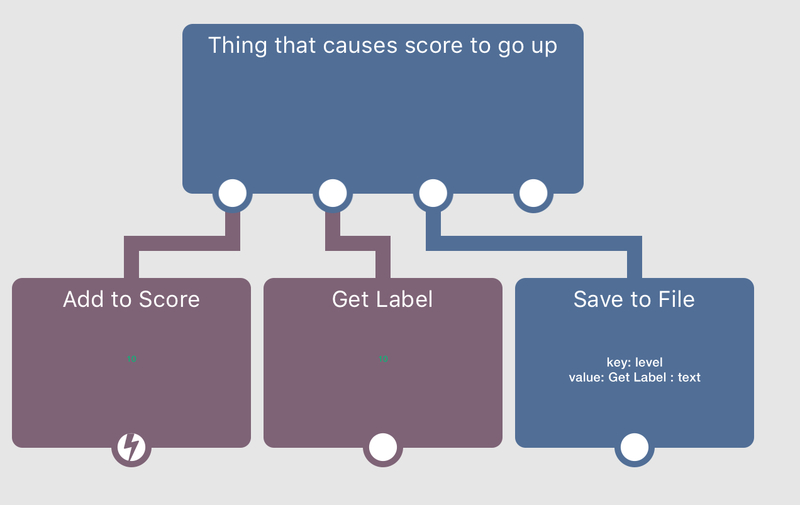 The Add To Score behaviour has all of this built in. It will trigger an event when your score reaches a specified number. So, on the add to score properties there is a field that says "Event when score reaches". Then connect a Save behaviour to that. And it will save when the score reaches 11.